Tzintzún, who has been heralded as a ‘Hero of the New South,’ is featured on the Rag Radio podcast. Cristina Tzintzún on Rag Radio, Friday, January 31. Photos by Roger Baker / The Rag Blog. 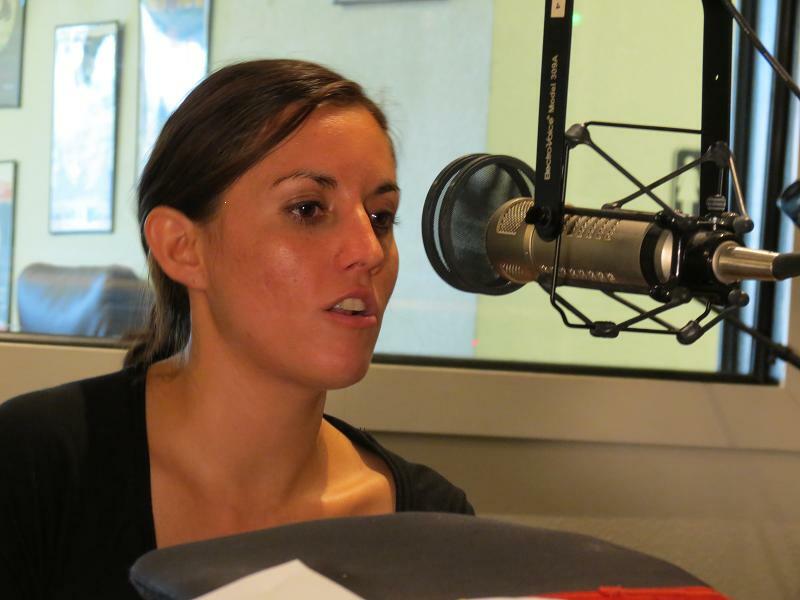 Cristina Tzintzún, executive director of the Workers Defense Project, was our guest on Rag Radio, Friday, January 31, 2014. 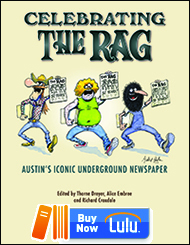 Rag Radio is a weekly syndicated radio program produced and hosted by long-time alternative journalist and Rag Blog editor Thorne Dreyer and recorded at the studios of KOOP 91.7-FM, a cooperatively-run all-volunteer community radio station in Austin, Texas. 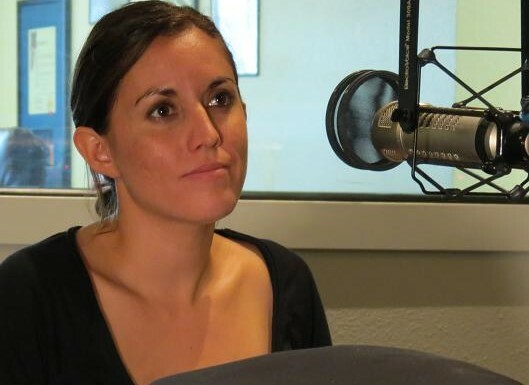 Cristina Tzintzún is Executive Director of the Workers Defense Project (WDP), a much-heralded Austin-based nonprofit organization devoted to improving the working conditions of low-income and undocumented workers in Texas. Named a “Hero of the New South” by Southern Living Magazine in 2013, Tzintzún’s work was touted in a major feature story by The New York Times, and has been covered by National Public Radio, Univision, MSNBC, USA Today, and other media outlets. The New York Times noted that the WDP “has racked up an unusual number of successes” and “has emerged as one of the nation’s most creative organizations for immigrant workers…” The WDP is one of a number of “worker centers” around the country that are working outside the traditional labor union structure and using innovative methods to fight for workers’ rights. Cristina Tzintzún at the KOOP studios in Austin, January 31, 2014. Tzintzún has spearheaded WDP’s efforts to ensure safe and dignified jobs for the nearly 900,000 construction workers that labor in the state of Texas. Her efforts have led to a federal investigation by OSHA into Texas’ deadly construction industry, the passage of a statewide wage theft law, and better, safer jobs for thousands of low-wage workers in Austin and Travis County. 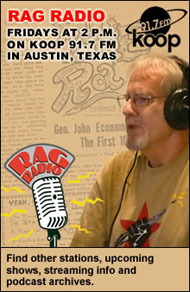 Rag Radio is hosted and produced by Rag Blog editor Thorne Dreyer, a pioneer of the Sixties underground press movement. 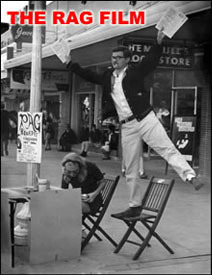 Dreyer was a founding editor of the original Rag, published in Austin from 1966-1977. Tracey Schulz is the show’s engineer and co-producer. Rag Radio has aired since September 2009 on KOOP 91.7-FM, an all-volunteer cooperatively-run community radio station in Austin, Texas. Rag Radio is broadcast live every Friday from 2-3 p.m. (CST) on KOOP and is rebroadcast and streamed on Sundays at 10 a.m. (EST) on WFTE, 90.3-FM in Mt. Cobb, PA, and 105.7-FM in Scranton, PA. Rag Radio is also aired and streamed on KPFT-HD3 90.1 — Pacifica radio in Houston — on Wednesdays at 1 p.m. (CST). THIS FRIDAY, February 14, 2014: Gail Vittori and Pliny Fisk of the Center for Maximum Potential Building Systems, on sustainable planning and design. This entry was posted in RagBlog and tagged Austin Activists, Construction Industry, Cristina Tzintzun, Immigrants' Rights, Interview, Labor Activists, Podcast, Rag Radio, Thorne Dreyer, Worker Centers, Workers Defense Project. Bookmark the permalink.